Obituary for Paul M. Lorenzen | Pleasant Manor Funeral Home, Inc.
Paul Manton Lorenzen (age 67) of Thornwood, New York, passed away on the evening of December 5, 2018 in his home. He is survived by his wife of 34 years, Mary Maher, and his two children, Brian Manton Lorenzen, and Kathleen Case Lorenzen (Vaccaro). Paul was born in Queens, NY on April 20, 1951 to his late parents Richard & Jacqueline Lorenzen, and was the oldest of five children: Peter Lorenzen, Barbara Lorenzen, Patricia Maxwell, and Richard Lorenzen. He attended Brooklyn Preparatory High School and then graduated from the College of the Holy Cross where he played baseball. 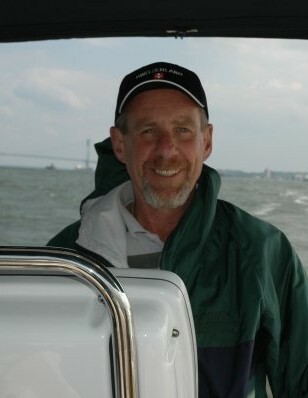 Paul was an avid baseball fan and enjoyed playing golf with his regular foursome each weekend at Mohansic Golf Course. Paul frequently enjoyed debating his friends and family on their divergent political views, yet loved them all nonetheless. He retired from his position at HEPCO Inc. in the spring of 2017. The highlight of Paul’s final year was walking his daughter Kathleen down the aisle and offering a rousing toast at the reception before his beloved friends and family. Paul’s greatest joys were being a husband to his wife, father to his children, father-in-law to Samara & Dennis Jr., and gramps to his Eddie Bear. A memorial mass will be celebrated for Paul at Holy Name of Jesus Church in Valhalla on Saturday, December 15, 2018 at 11:00 AM.